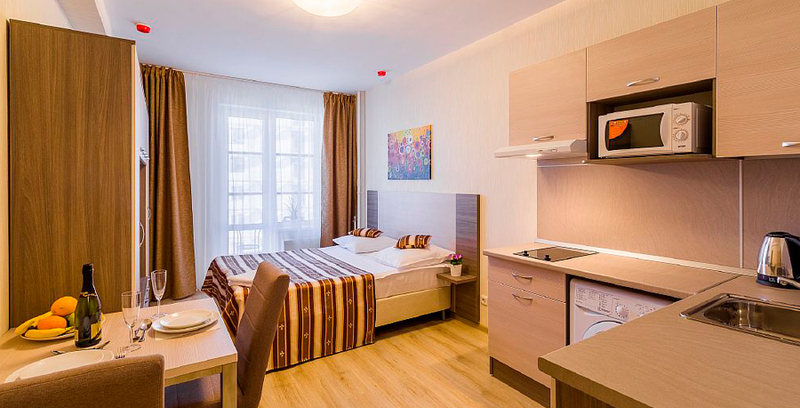 A new aparthotel nearby Zvezdnaya subway station (“Pulkovo”): make a reservation today at the price from 1 990 RUB per day! 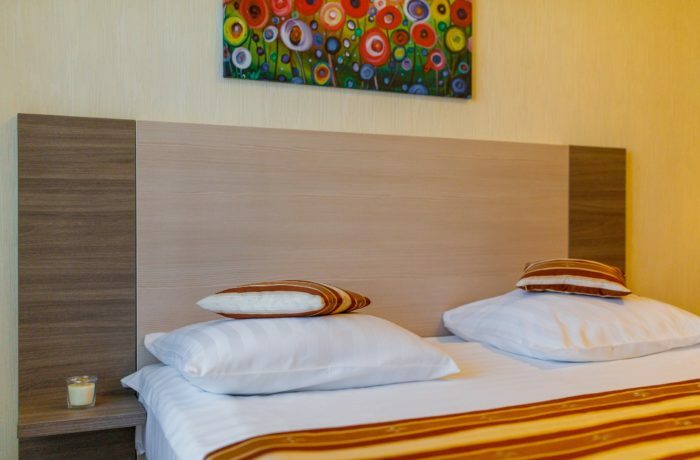 The «Imperial Apart» hotel combines travelling, European comfort level and up-to-dateness! 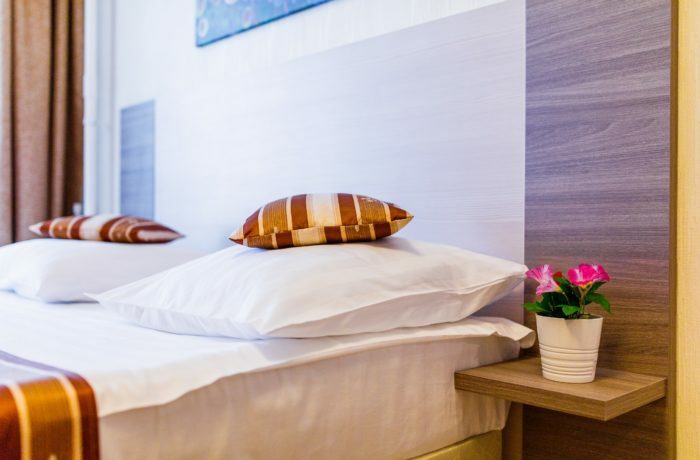 We created a modern interior in our rooms, fitted them out with full set of household appliances, best beauty care products and 100% sateen bed-clothes! 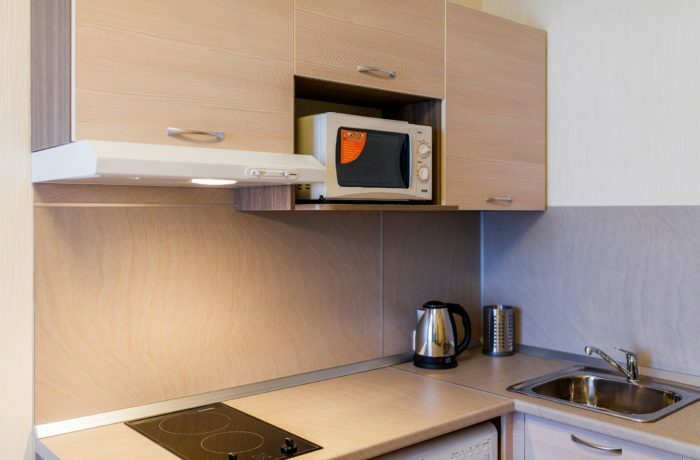 The apartments are outfitted with all the things needed for comfortable rest – fully equipped kitchen area with dishes, fridge, electric cooker, microwave oven, and dishwasher. 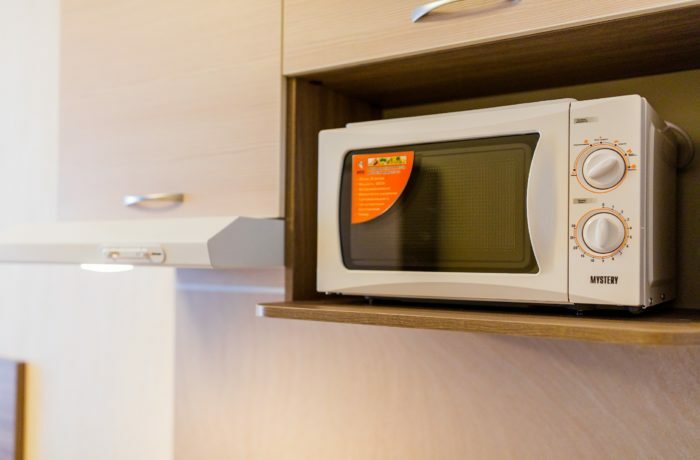 There are washing machine, electric kettle, iron, ironing board and hair drier in the room – everything you need to feel like home! Free WI-Fi on the whole territory of the aparthotel. 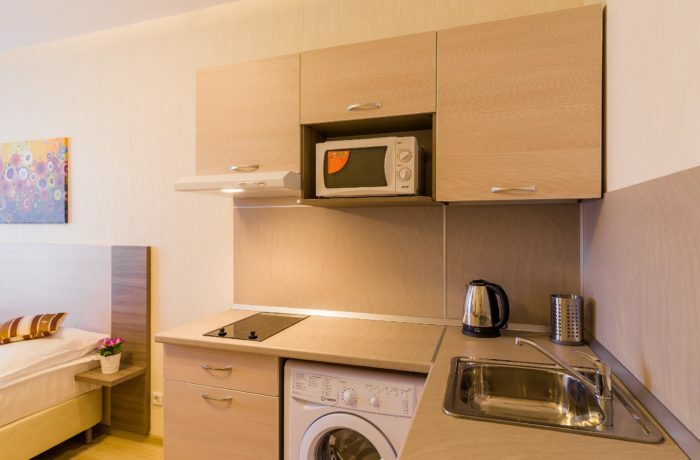 Kitchen, fully equipped with household appliances. Order of taxi, excursions, air and railway tickets for our guests. LCD television for our guests. Favorable offers from the apart-hotel! Arriving to Saint Petersburg? Book in advance to get great discounts! The hotel staff will be happy to help you with a transfer by meeting you at the airport or railway station. Comfortable modern cars and skillful drivers are at your disposal! 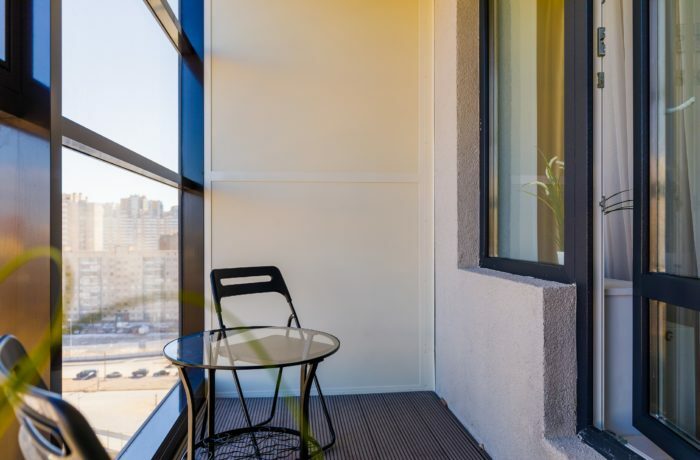 Book a room in the Apart-Hotel! Location: Moscovskiy district is a great choice if you are interested in walks beside the river and monuments, and love sightseeing. 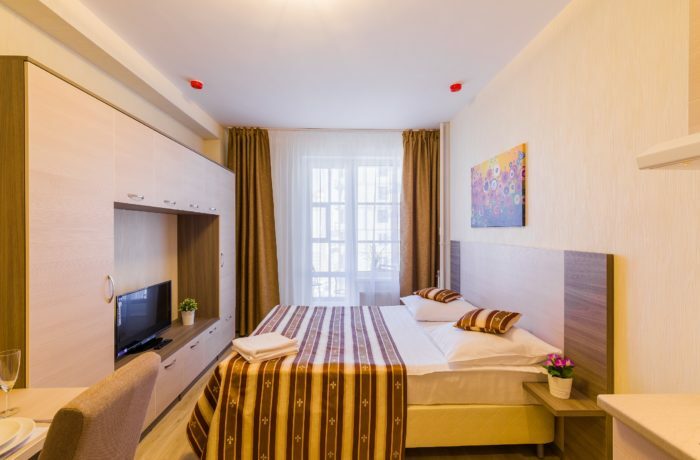 The distance to airport Pulkovo is 5 km. Kitchen and sitting areas are equipped with up-to-date appliances. Reservation service is always at your disposal! 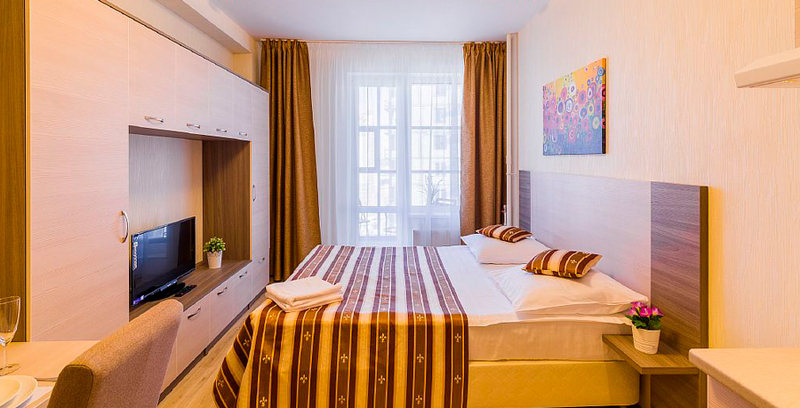 Moderate prices (from 2490 RUB/day)!